Serbia and Macedonia, which lie on the main migrant route to northern Europe, have begun restricting the entry of refugees to just those from certain countries, the U.N. refugee agency said Thursday. 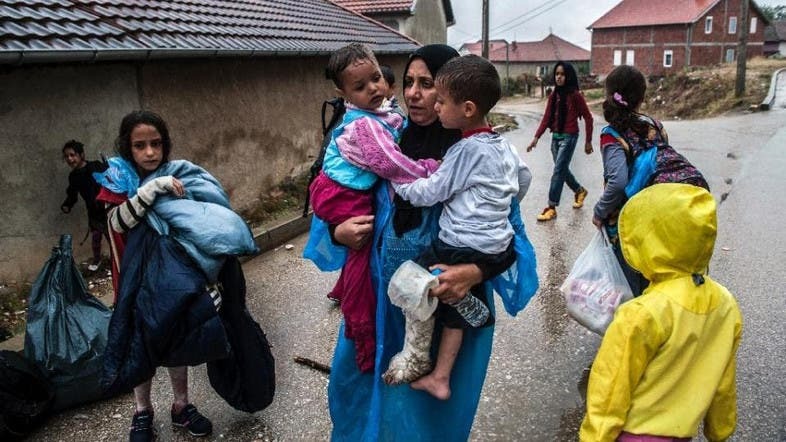 “Since yesterday afternoon Serbian authorities allow into the country only refugees from Afghanistan, Syria and Iraq,” when they have documents to prove it, UNHCR spokeswoman Melita Sunjic said. “They turn back all the others to Macedonia”. Jasmin Redzepi, president of Macedonian NGO LEGIS whose activists have been helping refugees and migrants at the border with Greece, told AFP by telephone that Macedonia was also allowing only Iraqis, Afghans and Syrians into the country. Hundreds of thousands of migrants fleeing war and poverty have crossed the Mediterranean from Turkey to Greece. Those who survive the sea journey travel overland through Macedonia and then Serbia to reach EU countries. An AFP photographer at the Macedonia-Greece border said that since 0830 GMT about 200 to 300 migrants were waiting in a ‘no man’s land’ as police guarded the border, but he said the migrants were not trying to cross.